Thanks to yurt camping, the newest camping craze taking off across the U.S., you don’t need to own a gas guzzling RV or camping trailer to enjoy state parks and campgrounds all year long. Park systems in nearly every state now feature these fun, functional, and cozy shelters in at least a handful of their state parks. Some states, such as Oregon and Washington, offer yurts in nearly all their coastal state campgrounds. 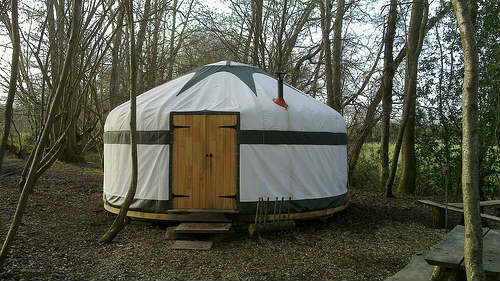 The word “yurt” originally referred to the circular tents used by nomadic people in Asia. The yurts you’ll find in the U.S. nowadays are strong, semi-permanent structures based on that circular design. 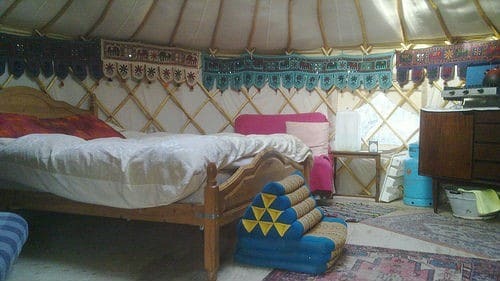 Typical “rustic” yurts are 16 feet in diameter, and offer beds and mattresses for five to six people, table and chairs, electricity, and heating. Deluxe yurts in state parks can include TVs, kitchenettes, and even bathrooms. Yurt camping in the off-season allows travelers experience year-round camping. Yurts are a great way to get away from it all without having to completely rough it. 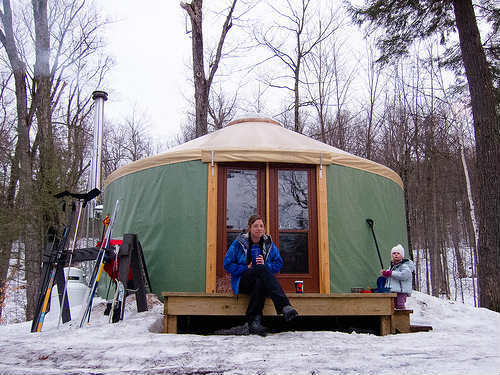 Nightly yurt rentals cost approximately $45 per night in summer, and can dip as low at $30 in winter (depending on location and amenities), making them far more cost effective than the hotels or lodges located in rural or wilderness areas. Yurts are ideal for long-term or spontaneous travelers who don’t want to pack extensive camping gear: no need for a tent, lantern, or heavy bedding. Winter or spring in your favorite state park may offer a completely different experience than in the summer. For instance, spring is the only time to observe the seal rookeries (baby nurseries) in the caves along Oregon’s central coast near Sunset Bay State Park. At other parks, fall may provide the best leaf peeping or winter the only cross-country skiing. We love reserving state park yurts in the off-season because we’re nearly alone in the park! Kids can enjoy the run of the park without parents worrying about disturbing fellow campers. And s’mores taste just as good (if not better) in the cold! Browse available yurts through your state’s park system website (as opposed to nation-wide sites). From the Oregon.gov site, I can click on Yurts and Cabins and see all available units at an array of state parks. Reserve early for May-September yurt vacations. Most state park systems allow campers to book nine months in advance, which may seem extreme for a camping trip, but is absolutely necessary to ensure a yurt reservation in the summer months. On the flip side, yurts are usually available with a week’s notice or less during off-season travel! Yurt campers need sleeping bags, cooking supplies and tools, and seasonal clothing. At most state parks, cooking must be done outside the yurt over a fire or using a camp stove. What you can skip: tents, mattresses, lanterns, and camping furniture such as canopies or tables. While some yurts are now pet-friendly, be sure to check your state park’s policy before bringing dogs. Check your email before departure. Most state park systems will email you your yurt site number and lock code, so that no check-in is required. At the end of your yurt stay, remember to sweep up and pick up after yourself for the next camper! 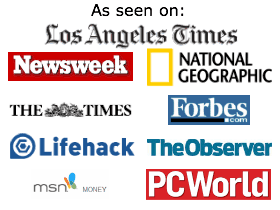 Usually basic cleaning tools are provided. My dad has worked at an RV company for years, so growing up, my only experience camping was in a 30-foot Winnebago Motorhome. I have branched out a little bit since then; my husband and I spent three months camping throughout Africa last year, but I still like the comforts of a home that you can get in a RV. Unfortunately, a gas guzzling RV doesn’t always make me think green. But, thankfully, there are ways to make it a more eco-friendly travel option. Here are tips green RV’ing this summer. Growing up, this is one of the ways my parents saved money on RV travel — we didn’t venture far from home. Staying close saves money on fuel and is more eco-friendly than a long-distance trip. Check out the campsites near your home — you may be surprised to find hidden gems within a short drive. As an added bonus, if you’re traveling with kids they will love the camping experience and you won’t have to hear as many “are we there yet?” questions from the backseat. If you’re traveling by RV, consider bringing bikes. This is a green way to travel to the store or around your campground without having to use the fuel to drive the RV. If you need to travel further than you’d like on a bike, consider bringing a Vespa or small vehicle that will use less fuel and get you where you need to go. Many of the eco-friendly things you do at home to reduce your carbon footprint will also work on the road. Open the windows in the RV rather than using the air conditioning and take shorter showers so you don’t use so much energy on hot water. If you own your RV you can also install solar panels and use energy efficient light bulbs to reduce your energy usage. Driving at, or under, the speed limit will save on fuel. While it may be more convenient to stock up on disposable plates and silverware for your vacation, go green by washing your own dishes. Once you see the luxury of some of the newer motorhomes on the market today, it can be tempting to rent a 43-foot RV for your next vacation. 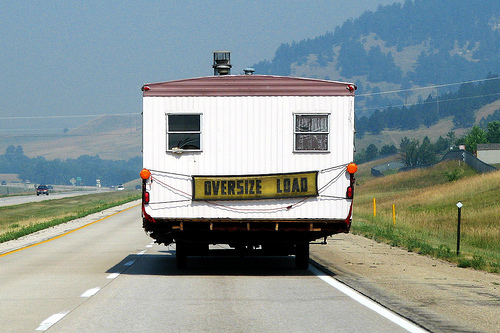 However, a smaller RV will be more fuel-efficient and reduce the overall carbon footprint of your vacation. Many of the smaller motorhomes are great options for green RV’ing. You may have to pack light, but your vacation will be more environmentally friendly, and you will probably have a little extra cash in your pocket from the money you save on fuel. Just because you’re in an RV doesn’t mean that the basic rules for camping don’t apply. Be sure to practice leave-no-trace camping; take all of your trash with you when you leave. If you’re camping with your dog, remember he has an environmental impact too — so plan accordingly. Only camp in designated campsites and make sure that recycle everything you can. Learn more about the progress green RV’ing is making. For many, a road trip across the US is the ultimate vacation, allowing the kind of freedom that no organized excursion can match. 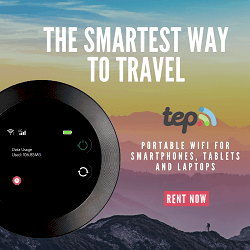 Experienced wanderers value all aspects of a road trip, including the terrain they cover, the diverse people and cultures they encounter, and the food and music they enjoy along the way. First-time road trippers might want to check out some of the classic historic routes before moving on to trips of a quirkier nature. New York to San Francisco is a fabulous, if demanding, cross-country journey. Direct routes cover some 2,900 miles. However, interesting diversions along the way can easily increase the total to 3,500 miles of travel, and a minimum ten days is needed to do justice to this kind of trip. The original pioneers journeyed in this direction from east to west, and the landscape becomes more rugged, dramatic and imposing as the trip proceeds. Along the way, spend time admiring the national parks and the majestic Rockies, looking out for bears and wolves, and experiencing the character and atmosphere of the wilderness. Further along the road, Utah and Arizona beckon. A little southerly dip in the route means road trippers can bypass the flat plains of the Midwest for the charms of the South, where the music, storytelling and barbecued cuisine in neighborhood bars and diners are endlessly appealing. This is truly the quintessential road trip in American history. The route extends from Chicago to Los Angeles, though it’s no longer possible to travel the entire 2,400 miles without switching roads. However, it’s a great adventure to spend time enjoying the iconic destinations found along the way, some of which are being restored to their former glory. Rent a car in Chicago and drive diagonally through Illinois to St. Louis. The Meramec Caverns in the Ozarks, near Stanton, Missouri are worth a pit stop. This is a 4.6-mile network of caverns created over millions of years by the erosion of limestone deposits. The ongoing route passes through the southwest corner of Kansas and continues into Oklahoma and the Texas panhandle. this point, I-40 replaces the former Route 66. As road trippers continue their drive, there are two important stops to make in Arizona, at the Painted Desert and at the Petrified Forest, before catching a glimpse of the Grand Canyon en route to California. Running north to south along most of the Californian coastline, the Pacific Coast Highway makes for a wonderful scenic road trip. Set out on the 101 south from Eureka in Northern California and head towards Fort Bragg. The road will then join Route 1, which meanders along the coastline and offers views of the Pacific Ocean on the right and valleys and mountains on the left. Destinations along this route include state beaches and parks. Ideal places to picnic, rest up or do some hiking or swimming. This zigzagging, twisting road leads south to the spectacular harbor-front sights of San Francisco. Many people like this part of California so much that they decide to settle down in one of the many San Francisco condo rentals in the area for a week or two. Memorable road trips are slow journeys where every moment is savored. Taking the time to meet people, learn about local culture and sample the cuisine will make for an unforgettable experience.